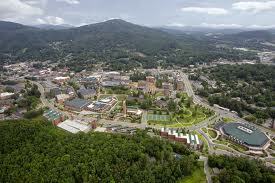 Boone, North Carolina is centrally located in an area that is easy to travel to from other parts outside of the county. The area that explorer Daniel Boone once hiked around is now a bustling commercial city. West Jefferson, in Ashe County, is only about thirty minutes from Boone as are other smaller cities like Banner Elk, Lenoir, Wilkesboro and Morganton. Even though Boone is close to these areas it is still considered a wonderfully preserved, unspoiled wilderness filled with tons of great places to explore and trails to enjoy. The Blue Ridge Parkway passes by the town, and other Blue Ridge attractions can be found here. Activities like mountain biking, backpacking, golfing, camping, fishing and horseback riding are huge with both vacationers and those that own homes here. You will never run out of things to enjoy when you live or own Mountain Property in North Carolina. &nbsp;A1 Mountain Realty lists and sells Appalachian Real Estate throughout the areas found in Watauga County, Ashe County and Alleghany County. For the best Western North Carolina Real Estate properties, browse our listings at (www.a1mountainrealty.com) or you can also do a MLS search from our site as well, and you will find tons of properties in and around Boone NC. If you are searching for the perfect vacation hideaway, you will most certainly find it in Ashe, Watauga, or Alleghany counties. Give us a call today (336-846-4900) for all your NC Mountain Real Estate needs.